Last night we were lucky enough to be able to attend the very first Mickey’s Not So Scary Halloween Party of the year. Sure, it’s a little early, but we wanted to go and get coverage for our readers, so here’s the rundown! When we got to the park, there were Cast Members there as usual, giving party goers their wrist band. Once we walked through the gate, they were shuffling people to the right, to a pathway behind the Confectionery. As you walked that path, there were bronze Halloween statues, and Cast Members giving out treat bags and pouches of candy, it’s a great way to start your evening. 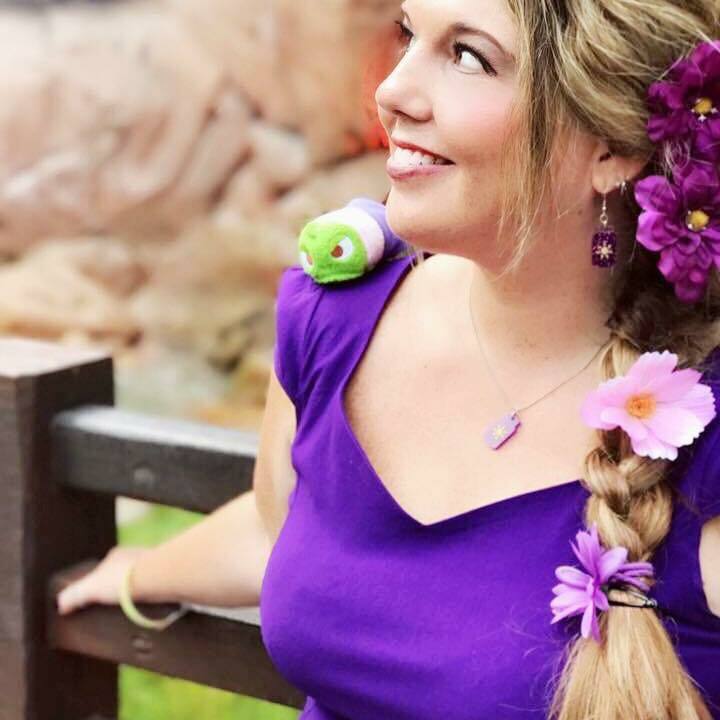 After getting our candy bags and such, and looking over the map, we headed to the Emporium for some extra Halloween swag to and meet up with my friend. The parties go by so fast, there’s so much to see, so we decided we’d better get started. Trick or treating and checking out character spots were first on the list. The candy lines were really long, and there weren’t as many of them this year, but we hit as many as we could. The lines for characters, like Jack and Sally and the Seven Dwarfs were very long too, mostly over an hour, so we didn’t wait. Before we knew it, it was time to find a spot for the first Boo to You Parade of the season. It has just finished raining, so the Headless Horseman didn’t ride for the first parade. 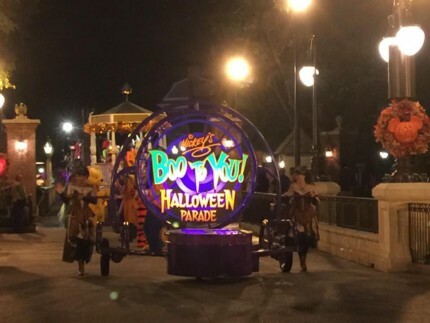 The Boo to You Parade is one of my favorite things about Disney. The Haunted Mansion section is my favorite, but it’s all good! I attached the video of the second show below, which included the Headless Horseman, I’m glad we got to see him! One change in the parade this year, was that Goofy was walking instead of riding the candy float. Vanelope from Wreck it Ralph was in his place. If you’re a fan of the movie Hocus Pocus, which I am, then you need to make sure to see their stage show at Cinderella Castle. The performers are pretty dead on as the Sanderson Sisters, and they have special guests like Oogie Boogie, Dr. Facilier, and Maleficent just to name a few. If you stay for the later showing, you’ll get a better view of the show. Just a warning…. you’ll probably walk away with “I’ve got a spell on you” playing over and over in your head. It’s pretty awesome.